A Delphi Spa Treatment - Choose from a Voya Salt Bath, Precious Milk Bath or Marine Algae Bath. Delphi Resort is a leading adventure, spa and food destination with a variety of accommodation options including a 4-star hotel and the Wild Atlantic Hostel. It is located next to Killary Fjord on the Galway/Mayo border, right on Ireland’s Wild Atlantic Way. Delphi Resort is situated just 10 mins from Leenane, 30 mins from Westport and 80 mins from Galway City. Their easily-accessible and picturesque location makes Delphi Resort the ideal destination for your next break away. Delphi Resort is the essence of 4* elegance and perfectly complements the natural splendour of Connemara that surrounds it. Each of its stylish rooms is designed so that the scenic beauty pours in over soft furnishings and soothing colour schemes, for a feeling of total tranquillity. Fluffy bathrobes and slippers and organic toiletries are just waiting to be sampled and enjoyed in your luxurious Suite, and you will melt into soft cotton fabrics each night. Take the time to soak in some blissful relaxation with 1 hour's complimentary access to the Thermal Suite in Delphi Spa – with sauna, steam room, Jacuzzi, relaxation area and detox tea making facilities. You will discover the true meaning of serenity and rejuvenation with Thalgo Milk Bath in the hotel’s Delphi Spa; the perfect way to unwind after a day’s exploration among the beautiful mountains and windswept trails of Connemara. You can look forward to a freshly made Full Irish Breakfast each morning. A lovely Late Checkout will just be the icing on the cake! Delphi Resort is located in one of Ireland’s most stunning locations; with countless outdoor activities keep adventurous types busy. Delphi Adventure Centre offers over 20 activities including surfing is surfing, kayaking, archery, zip-lining, abseiling, and mountain biking to name a few. 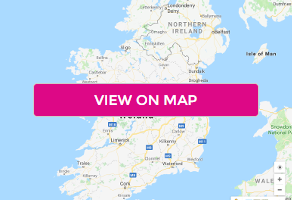 The resort is located on the Galway/Mayo border and has lots of places to explore right on its doorstep, including the beautiful Carrowniskey and Cross beaches, Westport town and Connemara National Park. So whether it is a tranquil and romantic mini-break or an adrenaline-fuelled adventure you are after, let the magic of Connemara and Delphi resort's 4 stars of luxury take care of it all. Make someone’s Christmas a truly merry one this year. Book it now! The Voucher is valid from the 1st of September to the 29th of November. Valid Sunday to Thursday with selected weekend dates. Additional persons: Max. 2 additional children may stay in the room. Children under 3 years old: free of charge. Children between 4-17 years old: a surcharge of €25 per child per night, breakfast included. Surcharges payable to the hotel directly.